This post comes a couple days late (forgive me) so therefore, I promise to TRY and keep this review short and sweet! On Sunday, 16 February, 2014 my good friend Oyinkan invited me down to an event at the Soho Sanctum Hotel and who was I to refuse. That night was the first night that I had heard of the name Shane Chubbz and it surely weren't the last, read about my experience at his private ‘Chubbziano’ EP listening party. 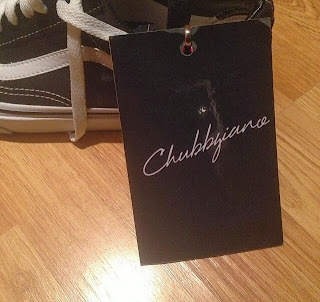 Oyinkan and I entered the hotel at about 8.20pm, and were handed with a guest pass - attached to the guest pass was a USB stick - which had the ‘Chubbziano’ EP on it (pictured below). I was very impressed, as we got to have the EP exclusively two days before it's release. (Great packaging). Upon walking into the cinema downstairs of the Soho Sanctum Hotel in Soho, west London - I honestly did not know what I'd expect to see or hear. I bumped into the DJ of the night, DJ Olu, who's a good associate of mine and the official DJ for HKN artist - Davido. I stepped foot into the cinema - it had dimmed lights with a projector placed where the stage was showing the EP cover (pictured above). All the chairs had been removed and there was plenty of space. People were seen hoarded by the bar (doing God knows what, cos they weren't buying drinks or drinking). There were mimosa drinks all laid out at the bar - but you could just about notice them because of the amount of people that surrounded it. As time went by - servers came out with mini-burgers on platters - I kindly declined as I had a McDonald's cheeseburger in my bag that I was just waiting to devour and I would have happily pulled it out if that was my normal settings - you know rough and tough. This one was a bit more upper class, higher tier - where the kids all seemed to have known each other. The settings was nice, very sophisticated children and a decent amount of people in the room. I'd look at my watch countless number of times, from 8.30pm to 8.55pm to 9.20pm and I was actually getting frustrated - the wait was unbelievable! Finally at 10pm he burst onto the scene and hit the stage rapping lyrics from his song ‘European Wavy Boy’ the intro, which has now become one of my top three favourite songs off the EP. Shane Chubbz went on to perform ‘Tequila’, but due to some technical difficulties - he performed an acoustic version to the song. The night saw Chubbz perform ‘Single Miracles’ featuring the boys of Creative Elevation (CE) - Uzzee and Phlowz, his highly loved song ‘Pockets’, which everyone seemed to have known the words to (but me, I felt so frigging left out). 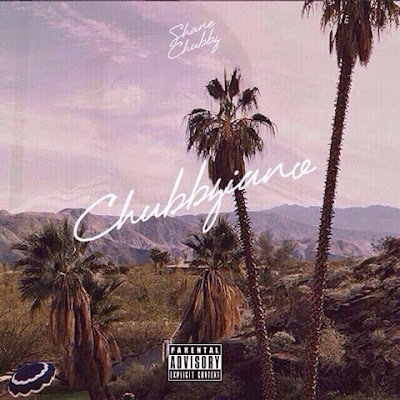 The ‘Chubbziano’ EP can be streamed and downloaded for FREE when you click "read more" below!